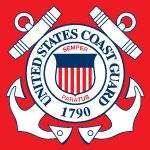 A detailed listing of vessel, ownership, mortgage, and operational requirements for U.S. Coast Guard documented vessels. Includes information about USCG abstracts of title, recording methods, and documented vessel record searches. More detailed information about vessel documentation and available resources can be found by visiting the Documentation page of our website as shown in the above menu selections. Vessel documentation services, forms, and research tools are also available from our Services, Forms, and Database pages. The information presented here is subject to change and should be confirmed with the U. S. Coast Guard. Vessel Documentation Statistics There are approximately 224,312 U.S. Coast Guard documented vessels which possess current and valid certificates of documentation. The approximate number of endorsements are Coastwise: 49,112, Fishery: 22,277, Registry: 13,585, and Recreation: 167,311. All documented vessels qualify for recreational usage even if not endorsed for such activity. Vessel Documentation Requirements Coast Guard documentation is optional for vessels that will be used exclusively for recreational purposes. However, vessels that are large enough must become documented for almost any kind of commercial activity. Non-skippered or bareboat charter vessels fall within the recreational category. Vessel Documentation Title and Registration Rules A documented vessel may not become titled in any other state, provincial, or foreign jurisdiction. However, periodic registration certificates are allowed because these are not looked upon by the Coast Guard as actual titles. Vessel Documentation Numbering All documented vessels are assigned an official number which becomes its primary identifier. Such numbers are 6 or 7 digits in length and remain with the vessel for life. Coast Guard Certificate of Documentation A certificate of documentation is issued by the Coast Guard to the managing owner of all documented vessels. This is valid for one year from the date of issuance and must then be renewed in order to maintain the documentation. A replacement certificate is issued upon renewal and must be carried on the vessel at all times when underway. Certificates of documentation are generally viewed as title certificates or evidence of ownership. Vessel Documentation Operational Endorsements Operational endorsements are notations on a certificate of documentation which indicate the types of activity in which the vessel is allowed to participate. These are based on certain qualifications which are mostly related to build and citizenship requirements. The most common endorsements include "Recreation", "Coastwise", "Fishery", and "Registry". Vessel Documentation Marking Requirements The official number must be preceded by the abbreviation "NO." and marked in block-type Arabic numerals at least three inches high on some clearly visible interior structural part of the hull. The name and hailing port of a recreational vessel must be marked together on some clearly visible exterior part of the hull. The vessel name of a commercial vessel must also be marked on the port and starboard bow and the vessel name and the hailing port must also be marked on the stern. The "hailing port" must include both a place and a State, Territory, or possession of in the United States. The state may be abbreviated. Vessel Documentation Size Requirements In order to qualify for documentation, a vessel must measure at least five net tons in volume. This should not be confused with the vessel's weight or displacement which may also be expressed in tons. Most vessels more than 25 feet in length will measure five net tons or more. Vessel Documentation Build Requirements The place where a vessel was built is not an issue when documented solely for recreational purposes. However, evidence that a vessel was built in the United States must be presented for any documentation where a coastwise or fishery endorsement is sought. This does not preclude administrative and congressional waivers which may be granted under certain circumstances. Vessel Documentation Owner Requirements As a general rule, all owners of a documented vessel must be U.S. Citizens. In order to qualify, an individual must be native born, naturalized, or a derivative. A citizen of a U.S. territory enjoys equal status as a citizen. Whenever an individual has dual citizenship, the U.S. citizenship prevails. Corporations, partnerships, and other entities capable of holding legal title may be deemed citizens for documentation purposes. Corporations must be registered in the U.S., the chief executive officer and chairman of the board of directors must be U.S. citizens, and no more than a minority of the number of directors necessary to constitute a quorum may be non-citizens. In addition, at least 75% of the stock must be vested in U.S. citizens for a coastwise or fisheries endorsement. Vessel Documentation Ownership Methods Ownership of documented vessels may be held in the name of Individuals, legal entities, and any combination thereof. Multiple equity positions can be stated in percentages or by any other method consistent with jurisdictional laws and regulations. Vessel Documentation Managing Owner Designation Many documented vessels have more than one owner. To make sure that the right person gets mail concerning the vessel, one must be designated as the managing owner. If the vessel is owned by a legal entity, its registered name will be designated. Vessel Documentation Recordings All transactions which take place while a vessel is actively documented are recorded on its underlying abstract of title. This is a log or index which is maintained by the documentation center and stays with the vessel for life. Such recordings may include bills of sale, transfers of interest, preferred ship's mortgages, and claims of lien. Preferred Vessel Mortgages A lender's security interest in a documented vessel is perfected by recording a preferred vessel mortgage on the underlying abstract of title. Multiple mortgages can be recorded against any particular vessel, but will become subordinated to those which are already outstanding. A satisfaction of mortgage must be recorded when the loan is retired. Vessel Lien Claims Lien claims can be recorded against a documented vessel so long as the documentation is active at the time of filing. Such claims are however merely notational and must be enforced through a court of proper jurisdiction. Vessel Documentation Fees Documentation application fees will range from $50 to $200 depending on the type of application and endorsements sought. Additional fees for recording various instruments can also range from $4.00 to 8.00 per page. The yearly renewal fee is $26. Vessel Documentation Residency Requirements Vessel documentation can be acquired by U.S. citizens travelling or living abroad. The location of the subject vessel is not an issue and can also be located offshore. Removal From Vessel Documentation A vessel with no outstanding mortgages may be removed from documentation upon the request of the vessel owner or an authorized agent. The documentation automatically becomes inactive upon any changes to the vessel or it's ownership. Notary Requirements Notarization of any instruments submitted for recording by the Coast Guard must be performed by a U.S. Notary or contain an apostille by a member country of the Hague Convention if notarized in a foreign country. Notarization by a U.S. Consulate is also acceptable in a foreign country.